It’s both a highly recommended parable and it comes at the perfect price of free. Read it if you haven’t already. I just watched the Will Smith movie The Pursuit of Happyness this weekend. I found it ironic that he really didn’t change job types when he joined Dean Witter. Mr. Gardner started out a salesman, and ended up a salesman. But by managing to change his product to financial services, he turned his tenacity and people skills into millions of dollars. Why is financial services such a lucrative field? This reminded of an excerpt that I had saved from Warren Buffett’s 2005 Letter to the shareholders of Berkshire Hathaway. Although a tad on the long side, I think it provides an excellent “big picture” view of investing the the stock market. Fidelity Investments has announced their online stock and ETF trades will now cost $4.95, down from $7.95 previously. The press release also points out that they also do not accept payment for order flow (unlike TD Ameritrade, Schwab, and E-Trade), and that their order routing has led to price improvement higher than industry average. I’m not sure of the dollar impact of all these factors taken together, but it could be significant if you trade a lot of shares. Free trades? They do exist. Merrill Edge offers $6.95 trades normally, but will give you 30 free trades per month if you keep $50,000 in combined assets across Merrill and Bank of America deposit accounts (Platinum Preferred Rewards tier). With $100,000 in combined assets, you get 100 free trades a month. Moving over existing assets from another broker qualifies. Merrill Edge does not accept payment for order flow. Robinhood offers $0 trades with no minimum required balance through their smartphone app (and less hand-holding). Robinhood does accept payment for order flow and now offers a set of premium paid features. Berkshire Hathaway (BRK) released its 2016 Letter to Shareholders ] over the weekend. Although the financial media will create some catchy headlines, I recommend reading it for yourself. It is only roughly 30 pages long and is always written in a straightforward and approachable fashion. Even if you aren’t interested in BRK stock at all, reading the letter can be educational for individual investors of any experience level. Here are my personal notes and comments. Bullish on America. This is a repeated theme from past shareholder letters. From a standing start 240 years ago – a span of time less than triple my days on earth – Americans have combined human ingenuity, a market system, a tide of talented and ambitious immigrants, and the rule of law to deliver abundance beyond any dreams of our forefathers. […] This economic creation will deliver increasing wealth to our progeny far into the future. Yes, the build-up of wealth will be interrupted for short periods from time to time. It will not, however, be stopped. I’ll repeat what I’ve both said in the past and expect to say in future years: Babies born in America today are the luckiest crop in history. Berkshire Performance. Another topic that has been touched upon before is that Berkshire is huge and you shouldn’t expect the amazing results from when they were much smaller (19% annualized over the last 50+ years). However, they still plan on beating the S&P 500 over the long-term. If they didn’t, they’d tell their shareholders to move their money elsewhere. 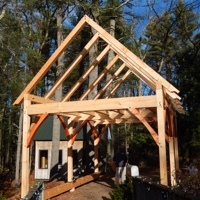 Berkshire Fair Price. Another repeated theme. Buffett is authorized to repurchase large amounts of Berkshire shares at 120% or less of book value. In other words, 1.2x book price is a significant discount to Berkshire’s intrinsic value. If you’re getting close to that number, BRK is probably a “good deal”. Stock holdings: Not necessarily buy-and-hold forever. This year, Buffett chose to emphasize that he has never promised to hold any particular stocks forever. (It does have no interest in selling its wholly-owned and controlled businesses.) Perhaps it is because he just bought shares of American, Delta, Southwest, and United Continental airlines. The airline industry has quite a rocky performance history. Perhaps it also to explain him selling all of his Wal-Mart shares. Hedge Fund Bet. You’ve probably heard about this 10-year bet between the S&P 500 and a bunch of hedge funds. Here is my 2016 hedge fund bet update. The short version is that with 9 years down and 1 left to go, the S&P Index fund is up 85%. Of the 5 hedge funds (of funds), the worst hedge fund is up only 3%. The best hedge fund up only 63%. Buffett and the S&P 500 are very likely to win this bet. I found it noteworthy that Buffett focused on the fact that no other hedge fund manager wanted to take the bet at all. Think about that. Only one guy was brave enough to step up, and how he’s getting bad publicity. When Mr. Buffett ran his investment partnerships in the 1960s, he charged no management fees and only took 25% of investment gains after the first 6%. Berkshire Vice Chairman Charles Munger praised that fee model earlier this month at the annual meeting of Daily Journal Corp., where Mr. Munger is chairman. Best book of 2016. I am currently listening to the Audible version of Shoe Dog by Phil Knight and it’s quite good so far. I’m only at the beginning where he bootstraps his shoe business from his parents’ basement and has the guts to fly all the way to Japan in the 1960s to ask for import rights in person. This book works really well as an audiobook. The best book I read last year was Shoe Dog, by Nike’s Phil Knight. Phil is a very wise, intelligent and competitive fellow who is also a gifted storyteller. The 2015 Annual Letter discussed his optimism in America and his “Big 4” stock holdings. The 2014 Annual Letter discussed the power of owning shares of productive businesses (and not just bonds). The 2013 Annual Letter included Buffett’s Simple Investment Advice to Wife After His Death. Michael Kirk of Efficiency Is Everything has put together his own nutritional spreadsheets and come up with other rankings. Below is an excerpt of his list of foods with the most protein per dollar. While lentils and pinto beans aren’t a surprise, I did find it interesting that white bread had more protein per dollar than whole wheat bread. White pasta also ranked higher than whole wheat pasta. Obviously, there will be some variability in the actual prices at your local grocery store. Below is an excerpt of his list of foods with the most caffeine per dollar. 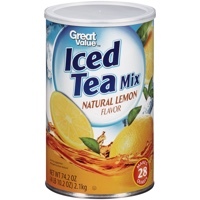 It’s good to know that powdered iced tea can give good caffeine pop for the buck (I’m saving this discovery for summertime), but I’d still rather drink a good cup of coffee than take a pill. 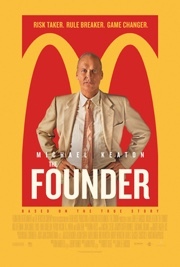 There’s a new movie out about Ray Kroc and McDonald’s called The Founder. Did you know that Kroc was selling milkshake machines into his 50s until he stumbled on a pair of brothers buying a ton of milkshake machines for their new hamburger shop? 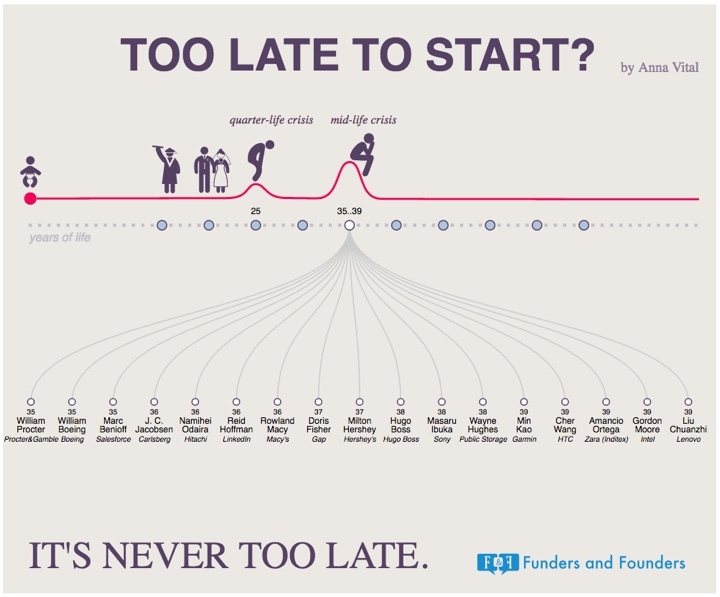 Here’s another interactive infographic breaks down various successful self-starters with the age at which they started their companies. 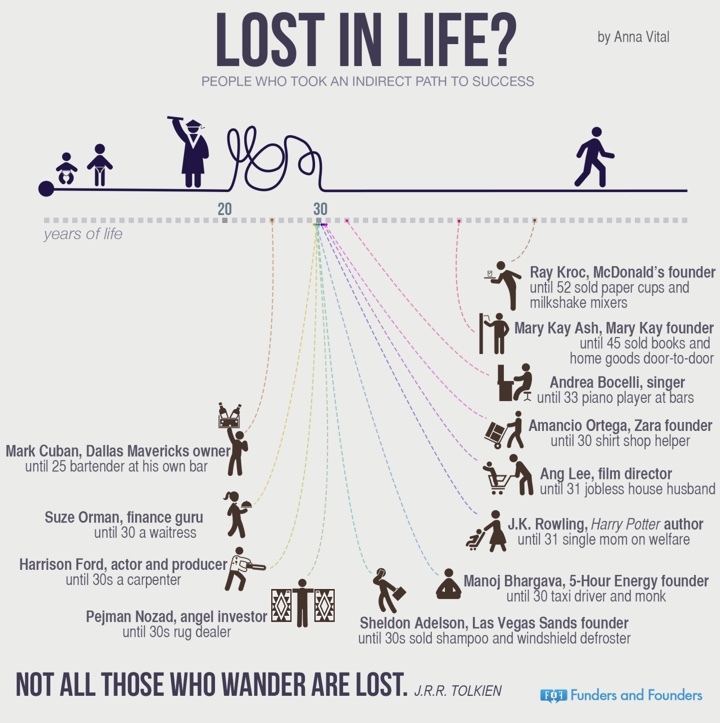 It turns out that 35 is actually the most common age to start a large, successful company. Perhaps it helps to build up a platform of experience (and failures?) first. Click on the image to reach the interactive version. Hopefully that provided a bit of motivation to keep reaching for that idea that always comes up when your mind is quiet. It’s never too late to start putting money aside. It’s never too late to start working on your business idea. It’s never too late to spend your time differently. In case you don’t visit every day (which is probably a good thing), Amazon.com is giving $8.62 off $50+ orders with promo code BIGTHANKS. Valid until 11:59pm Pacific 2/22 only. Must be shipped and sold by Amazon. If you need filler ideas, you can’t buy Amazon gift cards but you can buy gift cards to other retailers like Starbucks or Whole Foods gift cards for any amount over $25. For example, you could buy something for $15 and buy a $35 gift card to get to $50. As a follow-up to my post on the risks of investing in bonds, I should share that a slight majority of my personal bond holdings are in short-term and intermediate-term municipal bonds. Why? Well, here are some considerations if you are choosing between holding highly-rated municipal bonds and US Treasury bonds right now. It is highly unlikely that the tax-exempt status of municipal bonds will be removed. State and local government need low-cost muni bonds to finance improvements in infrastructure. It is possible that the tax-exemption could be capped, but even in that case the market impact would be manageable. Here’s the ratio of AAA-rated GO Muni bonds to Treasuries over the last 12 months (Source). 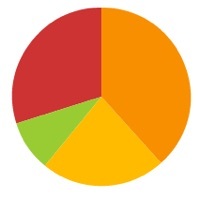 As you can see, the ratio hovers around 90% to 95% without compensating for taxes. We also expect any market correction required to overcome a drop in the highest tax rate or cap on the tax-exemption would be manageable, and continue to believe munis hold an important place in a diversified portfolio. Purely my opinion… I don’t bother speculating on future tax reform. I’m not an economist, so I can admit that I don’t know the future. I do know that even in the 25% or 28% marginal tax brackets, right now the tax-equivalent yields of muni bonds are higher than Treasuries by a significant gap. At higher marginal tax brackets, the gap widens further (again, see top chart above). Municipal bonds are not considered as safe as US Treasuries, and smart people can argue as to how close the risk levels are. I personally think the yield gap is greater than the risk gap, enough that I’d rather be in munis, but others may disagree. Why would this happen in a mostly “efficient” market? My personal view is that the entire world (including entire countries and sovereign funds) relies on US Treasuries as their “safe and liquid” asset, pushing yields downward, while the benefits of muni bonds are only available mostly to US individual taxpayers. Sometimes I think I should just buy a “total bond” fund (tracks all taxable, nominal US investment grade bonds) and forget about it. But then I look at the yield difference. As of today 2/21/17, Vanguard Total Bond Index has an average duration of 6.1 years and 2.50% yield. Vanguard Intermediate Tax-Exempt has an average duration of 5.2 years and 2.07% yield (tax-exempt). At 28% federal tax rate, that is equivalent to 2.88% taxable. At 43.4%, that is equivalent to 3.65% taxable. (These numbers are for Investor Shares; the gap is even bigger if you have $50,000 and can buy Admiral Shares.) Add in the fact that I have limited space in tax-deferred IRAs and 401(k) accounts, and all this is why I pick munis for my taxable accounts. Why? I thought they were a stable fixed investment. S/he wasn’t alone, and I received a couple of similar e-mails, but I was struck that this person had been a member of the forum for over 2 years, made over 600 posts, and had previously detailed their asset allocation very specifically: “Brokerage account 65/35 | VG total Market 35% | VG total Intl 12% | VG small cap value 12% | VG Reit index 6% | VG Total Bond 35% | TSP Account 75/25 | C Fund 45%, S 15%, I 15%, G 25% | EE Bonds = Emergency Fund” Why did they buy all these things? No doubt from reading a lot of well-meaning advice from well-meaning people. I own bonds as a ballast and diversification element in my portfolio. (I also own stocks for inflation-beating growth.) I want relatively low volatility, but there will still be some based on credit and duration risk. I will take a little bit of each type of risk, but not too much. I also own bonds for modest income. I will be satisfied earning only modest interest rates that will roughly match inflation over the long run, and be happy if I earn 1% or 2% more than inflation. In order to take on a small amount of credit risk, I will stick to US Treasury bonds, investment-grade corporate bonds, and investment-grade municipal bonds. In order to take on a small amount of interest rate (duration) risk, I will stick to bond mutual funds with a relatively short duration (less than 5 years). The term “intermediate” could mean anything from 2 years to 10 years, so I’ll have to be careful. As a result, I will be less-exposed to short-term losses if interest rates rise quickly. In order to reduce the risk of any single bond default, I will own a large number of bonds inside a mutual fund or ETF. An exception would be individual US Treasury bonds as they all share the same, highest credit quality available. Someone else may want to pursue higher bond returns and be willing to take on more risk. You could buy bonds from countries with shakier credit ratings. You could buy bonds from riskier companies. You could buy bonds with longer duration/maturities. If you look again at that top chart, you can see several drawdowns of around 5% for a 5-Year Treasury. But what about a 20-Year Treasury, or 5-Year Junk Bonds, or international bonds from Argentina or Venezuela? It’s possible for some bond funds to drop 10% or more. If you are buying bonds because you think they are safe, stick to the safer bonds and realize that even they might still drop in price for a while. Opinions Take Flight is a consumer survey panel that gives out Hawaiian Airlines Miles instead of cash. Their current promotion is 350 HawaiianMiles for joining and completing your first survey. I usually find these survey panels too tedious to participate in regularly, but I hadn’t produced any activity on my Hawaiian miles recently (they expire after 18 months of inactivity), so I signed up. You’ll need to verify your e-mail, fill out some profile information, and then they will ask you survey qualification questions. The good news is that even if you don’t qualify a particular survey, OpinionsTakeFlight.com will still give you 5 miles for trying. Since I really just wanted some quick miles to reset my miles expiration with a few clicks, I was happy with that. I’d rather get 5 miles (and expiration extension) for under 10 minutes of work rather than 350 miles (and expiration extension) for 24 minutes of work anyway. If I can get a survey once every 18 months or as needed for easy Hawaiian miles activity, it will have been worth setting up this account. Balance transfer fee details. Promotional Balance Transfers that post to your account within 45 days of account opening: Either $5 or 2% of the amount of each transfer, whichever is greater. For Balance Transfers that post to your account at a non-promotional APR after 45 days of account opening: $0. Online ACH Transfers. You can use the available credit on your Barclaycard Ring account to complete a Balance Transfer to your checking account online. We carefully monitor fraud and credit risk, therefore this ACH transfer capability may not be available to all cardmembers. Also, you can only complete one ACH transfer within a 30 day period. 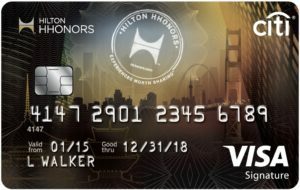 This card does not have any cashback, points, or miles rewards program. It appears to be primarily focused on balance transfers and providing lower interest rates for those carrying a balance. Bottom line. The Barclaycard Ring MasterCard has been updated with a 0% Intro APR offer and a low, variable APR on purchases and cash advances. There is also no balance transfer fee when done at a non-promotional APR after 45 days of account opening. This may be of interest if you are still carrying a balance elsewhere at a higher interest rate. Of course, I encourage paying off credit card balances aggressively as that is often the first step towards financial independence.